After a nine-game home stand where the Padres went 4-5, the boys got a much-needed day off on Wednesday. Heading into Thursday’s game against the Pittsburgh Pirates, the Friars had won three of their last four games. It was Eric Lauer’s duty to keep the good times rolling, and bounce back after his rough outing against the St. Louis Cardinals in which Lauer gave up six earned runs in 2 1/3 innings. As for Pittsburgh, they have been playing great ball all year. The Pirates currently lead the NL Central, and had won eight of their last ten before entering the four-game series with the San Diego Padres. Chad Kuhl was on the mound for Pittsburgh, who statistically has pitched much better at home than on the road in his career. Kuhl has a history of being erratic, as he looks dominant one inning and completely lost the next. On Thursday night, that was the story. Kuhl began the ballgame looking dominant; he fired two straight perfect innings, striking out four Padres batters. Come the third inning, Kuhl began to struggle. The inning began with a single by Freddy Galvis, followed by a walk by Manuel Margot and a sacrifice bunt by pitcher, Eric Lauer. With men on second and third, Jankowski worked a full count and fought an inside fastball up the middle that resulted in an infield single that scored Galvis. Hosmer was up next and drove in Margot on an RBI groundout, giving the Friars a 2-0 lead. Through three innings, Padres starter Eric Lauer was rolling. Lauer had success by changing speeds, throwing his cutter for strikes on the inner part of the plate to righties, and getting ahead of the count. In the fourth, the Pirates were able to get to him for three earned runs. The play that broke the inning open was a misplayed bloop line drive by Franchy Cordero. Off the bat of Corey Dickerson, a soft line drive was struck to Cordero’s right. Cordero off the bat immediately froze, as it looked like he wasn’t able to get a good read on how hard the ball was hit. Instead of playing the ball in front of him for a single, Cordero took a bad route and overran the ball in left field. The ball got by him and scored Pirates catcher Francisco Cervelli from second base. Dickerson pulled up with a double, and Josh Bell advanced to third. A sac fly and double later, and the Pirates had the 3-2 lead at the end of four innings. However, the Padres spent little time feeling bad for themselves and bounced right back in the top of the fifth. Padres pitcher Eric Lauer helped himself out by hitting a double to right fielder Gregory Polanco. Mr. On Base, Travis Jankowski, worked a walk, which brought up Eric Hosmer with men on first and second. Hosmer proceeded to smash a double off the top of the center field wall, scoring Lauer and Jankowski, and the Friars regained the lead, 4-3. In the bottom of the 5th, Eric Lauer trotted back out to face the top of the Pirates’ order. Lauer continued to struggle from the previous inning, missing out of the zone and leaving his fastball down the middle. Consequently, Pirates first baseman Josh Bell ripped an RBI single up the middle to tie the game. Manager Andy Green stuck with Lauer to get out Pirates power lefty Corey Dickerson. Lauer was able to get Dickerson to weakly fly out to left field. Following the out, Stammen came in and slammed the door to get the Friars out of trouble in the 5th. In the bottom of the 7th, the Pirates caught the break they needed. With two outs in the 7th inning, Matt Strahm was facing Corey Dickerson. Strahm got Dickerson into a two-strike count before Dickerson reached out and fought off a pitch on the outside corner. Dickerson made decent contact, but it was hit straight at Padres 3B Christian Villanueva. Villanueva attempted to backhand the grounder, and was unable to field it cleanly. The runner from third scored, and the Pirates had untied the game, and taken the lead on an error by the San Diego Padres. 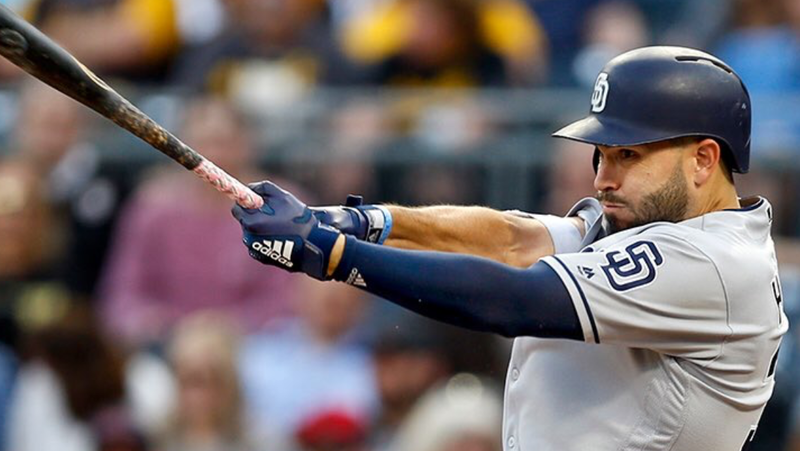 Following the inning, the Padres were given six outs to score off the Pirates’ bullpen. The Friars were unable to do so. 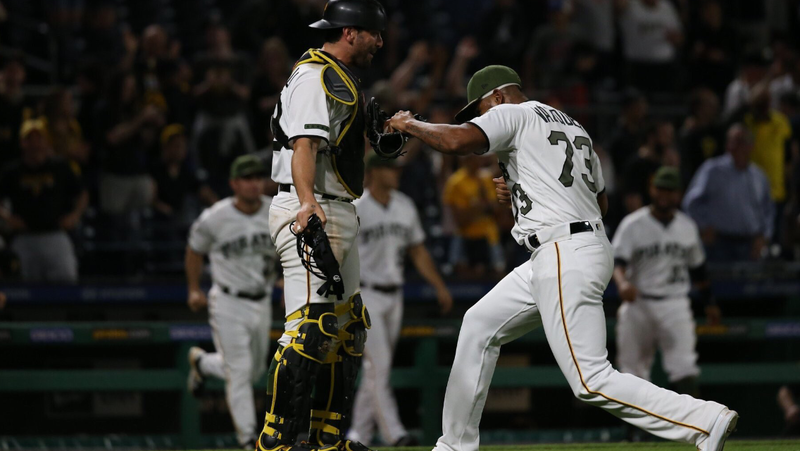 Pirates closer Felipe Vazquez came in firing bullets, striking out Margot, pinch hitter Franmil Reyes, and Travis Jankowski to end the ball game. The Friars dropped the first of the four game set by a score of 5-4. The San Diego Padres and the Pittsburgh Pirates played a good old fashioned baseball game Thursday night. The Padres scored, the Pirates scored, the Padres bounced back, and then the Pirates rebutted. When a game is so tightly contested, and played well by both teams, losing a game on an error is heartbreaking. The result of this game would likely look a lot different if the Friars played a clean baseball game. However, that was not the case. 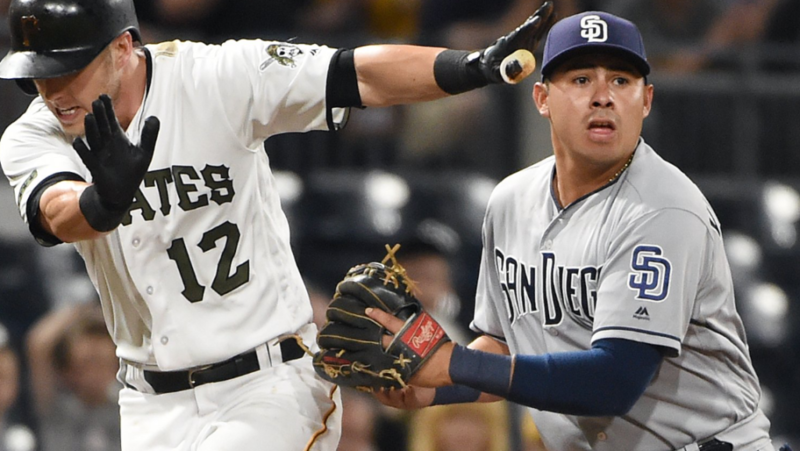 Costly miscues by Franchy Cordero in the fourth inning, and Christian Villanueva in the 7th, was enough to propel the Pirates over the Padres on Thursday night. The Friars look to build on the positives, and even up the series tomorrow night as Tyson Ross faces off with Ivan Nova.